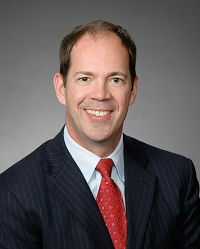 David A. Diepenbrock is a partner at Diepenbrock Elkin Gleason LLP. He represents businesses in a broad spectrum of disputes, including those involving unfair competition, fraud, breach of contract, and breach of fiduciary duty. Mr. Diepenbrock also regularly represents buyers, sellers, developers, landowners, and lenders in disputes arising from the ownership and development of real property, including in eminent domain, inverse condemnation, and other land use disputes with government entities. Defended owner in partial take action brought in connection with freeway interchange project located at Sheldon Road and Highway 99. Defended owners of 305.75 acre parcel located at the intersection of Highway 99 and Elverta Road in partial take action brought by the Sacramento Area Flood Control Agency. Defended owners of 86.7 acres of land located in Sacramento County in condemnation action brought by the Sacramento Area Flood Control Agency as part of its development of the Natomas Levee Improvement Program. Prosecute inverse condemnation claims on behalf of property owners seeking damages resulting from large public works project carried out in Plumas County. Represented owner in condemnation action brought by the Bay Area Rapid Transit district in connection with the development of a BART station located in San Mateo County. Successful pleading-stage defense of claims brought against real estate investors, and members of a limited liability company, sued for breach of contract, fraud, and breach of fiduciary duty. Defended two limited liability companies (and their members) that developed a time-share resort in Napa Valley against fraud, breach of fiduciary duty, and breach of contract claims brought by project investor. Case was settled to clients' satisfaction while their motion for summary judgment was pending. Defended seller of multi-family housing complex valued in excess of $10 million against breach of contract and fraud claims brought by buyer who failed to fully perform its contractual obligations by the close of escrow deadline. Successfully represented seller on appeal after winning three-week bench trial, and a full award of attorney fees. Prosecuted fraud and False Claims Act claims arising from conveyance of deed of trust valued at approximately $13 million on behalf of large Bay Area municipality that resulted in highly favorable settlement following protracted discovery battles and complete trial preparation. Represented owners of parcel located south of Vacaville in connection with proposed specific plan for development of Vanden Meadows and related Environmental Impact Report. . Successfully defended seller against specific performance and breach of contract claims arising from failed transaction involving a proposed commercial development in Yolo County. Obtained favorable judgment following a two-week arbitration, and an award of attorney's fees. Defend lender in actions brought by a county and a district attorney seeking injunctions, civil penalties, and damages, relating to alleged releases of hazardous waste and county code violations at a marina. Following extensive negotiations, and after conducting substantial discovery and filing a cross-complaint, resolved case through a stipulation for consent decree in which client paid no money to either plaintiff. Represented individual assessed over $11 million in civil penalties by the State Mining and Geology Board in multiple actions, including writ proceeding in state court, and action filed in federal court seeking monetary recovery from Board for violating client's civil rights. Represent owner of marina located in San Joaquin County in inverse condemnation action seeking damages resulting from reclamation district's modification of levee abutting marina. Prosecuted specific performance action on behalf of investment company that contracted to purchase downtown Sacramento property improved with 187 apartment units and over 17,000 square feet of commercial space. After extensive discovery, seller agreed to consummate sale to our client. Represented landowner in the voluntary partition of approximately 3,000 acres of farmland located in Yolo County. Case involved eleven parcels of uneven size and quality, including large parcels suited for cattle grazing, and smaller parcels with permanent crops. Matter was resolved to client's satisfaction through a voluntary exchange agreement. Represented owners of historic mining property in appellate proceedings seeking to establish vested rights based upon mineral patents issued by the federal government, and mining conducted on property in subsequent decades, following unfavorable determination by State Mining and Geology Board. Represented landowner in complex commercial leasing dispute with tenant farmer occupying substantial portion of 497.80-acre parcel under a long-term lease. Matter submitted for decision by three-member arbitration panel following three-week arbitration.